Currently we have a vegetable garden, a lemon grove, wine and many other young trees and herbs.  We are constantly trying to develop the garden in coorporation with the residents of the Estia. In the garden workshop staff and volunteers work side-by-side with residents 5 days a week. With the garden we have to tree aims. - To produce as much of our vegetables and fruits ourselves in an ecological way. - To create nice green surroundings for residents/staff and volunteers. - To make a workshop with focus on developing the skills of our residents, and to support them to a greater degreed of independence and motivation in their work through explaining and supporting in the every day task..